It's widely considered one of the best movies ever made. 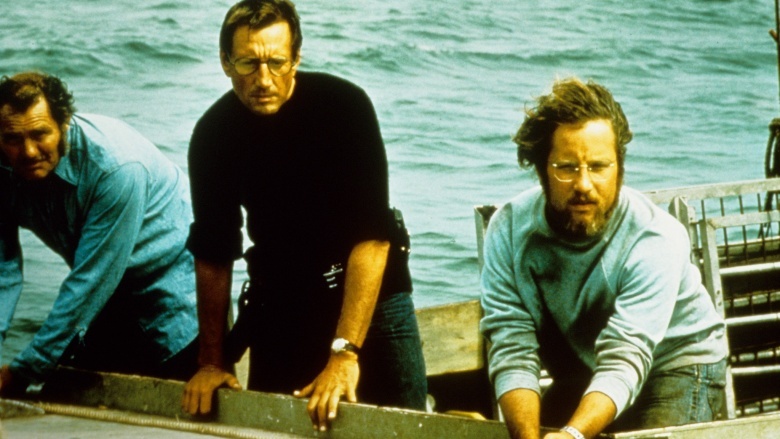 But just how well do you really know Steven Spielberg's shark thriller Jaws? From budget problems to cast feuds and infamous Oscar snubs, we're diving deep into the waters of a movie that started with notorious production problems but finished with rave reviews, three Academy Awards and a whole bunch of cash. Relive all of the behind-the-scenes drama, more than 40 years after its release. One of the earliest signs that production on Jaws wouldn't run as smoothly as planned came from the script, which passed through the hands of three writers—Jaws novelist Peter Benchley; playwright Howard Sackler; and comedy writer Carl Gottlieb—before Spielberg and the studio deemed it ready to take to the set on Martha's Vineyard. "[Benchley was a] journalist who didn't understand screenplays," Gottlieb told the Los Angeles Times in 2015. "Sackler did a workman-like job of translating the novel faithfully. A faithful rendition of the novel was not what was needed. Something else was needed, and I came on board." In the BBC documentary In the Teeth of Jaws, Gottlieb says he flew to the set of the movie just 10 days before principal photography started. "To everybody who worked on it at the time, it was a job," he continued. "Let's do the best job we can with the resources we have. It was not a big-budget picture." Gottlieb wound up removing a number of subplots from Benchley's novel, adding humor to the script and making the characters appeared more human and relatable. Spielberg also used Gottlieb on set to help finesse the script in certain situations, including when they wanted to improvise. Speaking to Ain't It Cool News in 2011, Spielberg recalled the stress of casting the movie's three main parts. 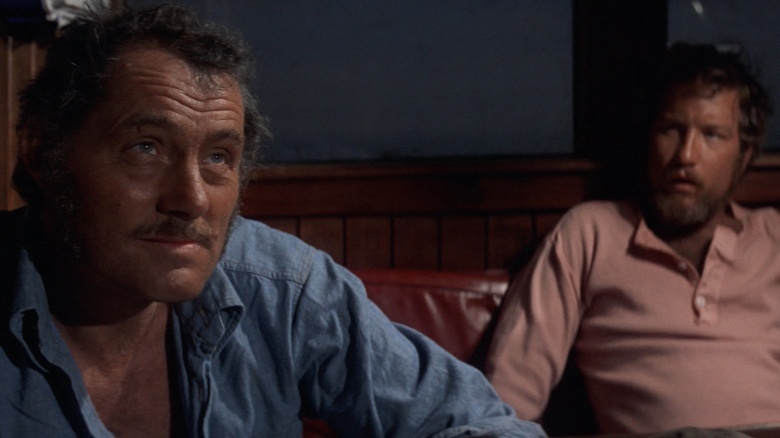 "It took six months to cast Quint," Spielberg revealed, admitting he had been turned down by Lee Marvin and Sterling Hayden before producer David Brown suggested the actor who finally got the part, Robert Shaw, with whom Brown had worked on The Sting. Meanwhile, Spielberg said he tested "dozens of possible Brodys" before actor Roy Scheider pitched himself for the role at a party. "Roy actually said to me, 'You have such a glum look on your face. What's the matter?' I said, 'Aw, I'm having trouble casting my picture.' He actually said, 'Who have you gone out to?' I named a few names and he looked at me and said, 'What about me?' He actually said, What about ME?" Spielberg said. "I looked at him and said, 'You're right! What about you? Will you make my movie?' Without even asking for a script he said, 'Of course! If you want me, I'll do it!'" As for the character of Hooper, Spielberg claimed that Richard Dreyfuss was his first choice. In a separate interview, Spielberg said the idea was pitched to him by his good friend George Lucas, who had directed Dreyfuss in American Graffiti. Ironically, Dreyfuss said he initially turned down the role, but wound up begging Spielberg for it after he had seen and hated his performance in The Apprenticeship of Duddy Kravitz. Choosing to film on location, not in a Hollywood studio tank, created a number of headaches for the cast and crew. However, few things were more frustrating—and costly—than the film's mechanical shark, which notoriously broke down multiple times during key shooting scenes. "That's a much maligned shark and I'm kind of responsible for creating a lot of the bad mouthing about the shark, because the shark was frustrating," Spielberg said during In the Teeth of Jaws. "It didn't really work all the time; it didn't work hardly at all." According to Mental Floss, the shark—reportedly nicknamed Bruce after Spielberg's lawyer—sank to the bottom of the Nantucket Sound on its first day of shooting. Headache-inducing problems continued to mount, forcing Spielberg and his team to figure out how to film the movie without the shark. Eventually, Spielberg took a cue from one of the great movie thriller masters, Alfred Hitchcock. 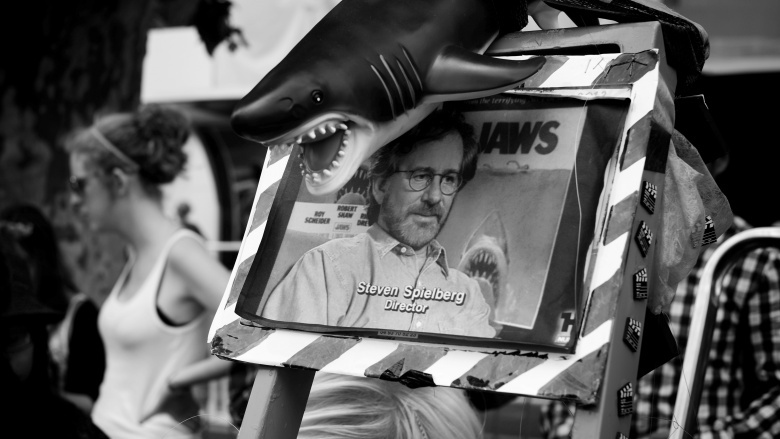 "I had no choice but to figure out how to tell the story without the shark," Spielberg said (via Mental Floss). "So I just went back to Alfred Hitchcock: 'What would Hitchcock do in a situation like this?' … It's what we don't see which is truly frightening." Hilariously enough, Spielberg later admitted that "had the shark been working, perhaps the film would have made half the money and been half as scary," according to the Guardian. Between mechanical sharks sinking to the bottom of the ocean and boats flooding mid-scene, Jaws' seemingly endless production woes ate into the film's production schedule and budget, to the point where some members of the cast, crew and executive team thought the movie would ruin their careers . "The studio was running out of patience; there [was] no question about it … The atmosphere was getting a little tense," producer Richard D. Zanuk revealed during In the Teeth of Jaws. Added Spielberg: "Every day, I remember, about the 50th or 60th day of shooting, the crew would come over to me and they'd all ask me during the day, 'When are we going to be done with this movie?'" Eventually, producer David Brown had to tell Spielberg to keep shooting until the studio physically took the film out of his hands. According to BuzzFeed, the film was given a budget of $3.5 million to shoot over a tight 55 days, in part due to a looming actors' strike scheduled to take place that summer. Instead, it reportedly cost about $9 million and shot over 159 days. To this day, the production on Jaws haunts Spielberg. "100 days over schedule, all the water, it was insane. I almost got fired probably 19 times," Spielberg told BuzzFeed. "It was almost my epilogue, you know? 'He made Jaws.'" "Nothing has been like that [since]. My most troubled shoot after Jaws has been nothing," he continued. "It doesn't even compare. Jaws was a nightmare because… I don't even know who we were. We were a bunch of upstarts, a bunch of young people who thought we could take on the ocean. You can't take on the ocean. And we thought we could do it by bringing a mechanical shark into the Atlantic Ocean and the salt water just wreaked havoc on all of the hydraulic tubes and things and the shark kept sinking." Of course, Jaws became the highest grossing movie of 1975, and remains one of the most financially successful movies of all time. But, yeah … nobody knew that then. Much like the characters they played, actors Robert Shaw and Richard Dreyfuss did not get along during much of the shooting of Jaws. In fact, Shaw often taunted Dreyfuss in between takes. What caused the feud? 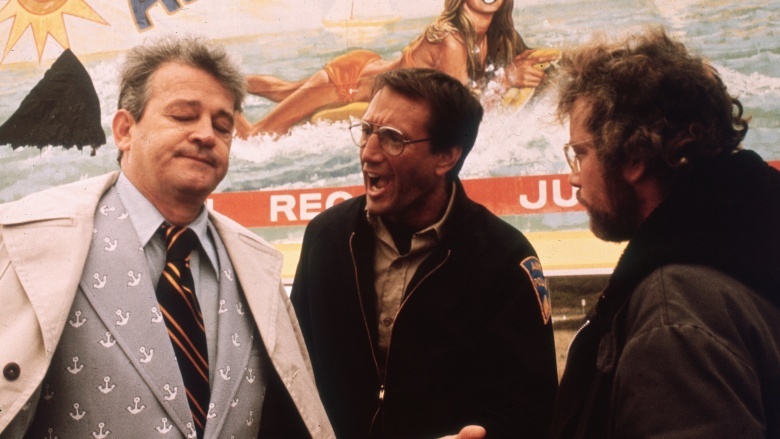 According to co-star Roy Scheider, Shaw, a legendary theater actor, initially took issue with Dreyfuss' pompous attitude about filming a movie. "Dreyfuss would say, 'What am I doing on this island? Why am I here? I should be signing autographs in Sardi's. 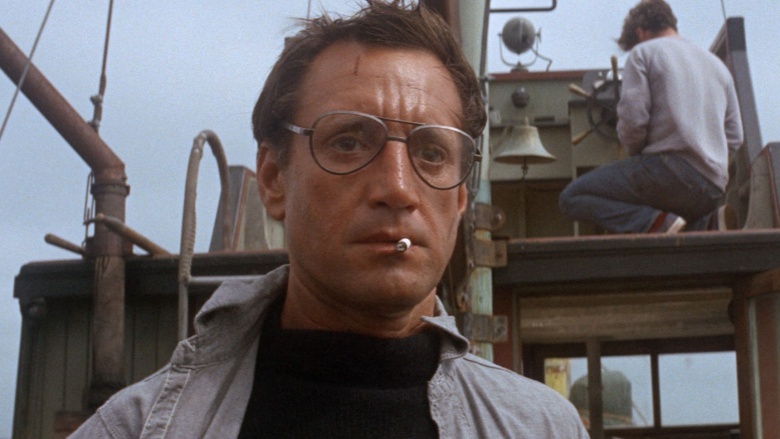 I should be feted all over New York City … " Scheider recalled in the Biography Channel documentary, Jaws: The Inside Story. "[Shaw] really thought Dreyfuss needed a slapping down, [that he was a] young punk with no stage experience." 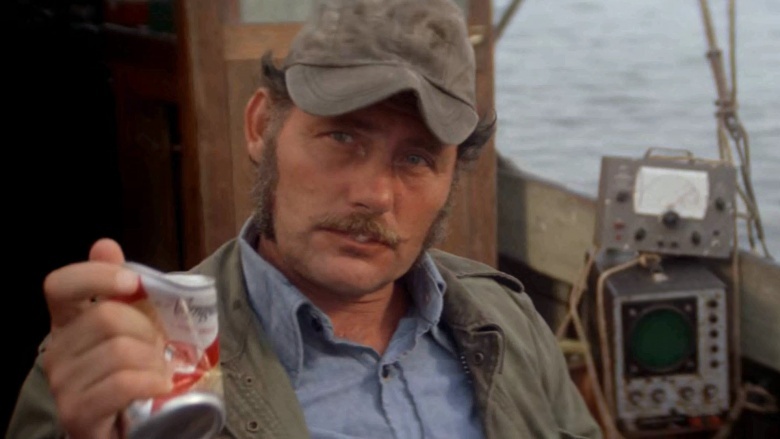 One of the key turning points in Jaws comes when Shaw's character Quint delivers a harrowing four-minute monologue about the time he battled tiger sharks in the water after the USS Indianapolis was torpedoed by the Japanese Navy and sank at the end of World War II. Shaw's impassioned delivery of the monologue is often credited with humanizing the characters in the film and bringing them together. But, Shaw being Shaw, actually filming the iconic moment wasn't exactly easy. "We shot it twice," Spielberg told Ain't It Cool News. "The first time we attempted to shoot it Robert came over to me and said, 'You know, Steven, all three of these characters have been drinking and I think I could do a much better job in this speech if you actually let me have a few drinks before I do the speech.' And I unwisely gave him permission." "I guess he had more than a few drinks because two crew members actually had to carry him onto the Orca and help him into his chair. I had two cameras on the scene and we never got through the scene, he was just too far gone. So I wrapped," he added. "At about 2 o'clock in the morning my phone rings and it's Robert," Spielberg continued. "He had a complete blackout and had no memory of what had gone down that day. He said, 'Steven, tell me I didn't embarrass you.' He was very sweet, but he was panic-stricken. He said, 'Steven, please tell me I didn't embarrass you. What happened? Are you going to give me a chance to do it again?' I said, 'Yes, the second you're ready we'll do it again.'" "The next morning he came to the set, he was ready at 7:30 and out of make-up and it was like watching [Laurence] Olivier on stage," Spielberg said. "We did it in probably four takes. I think we were all watching a great performance and the actors on camera were watching a great performance." After years of debate, Spielberg clarified to Ain't It Cool News that the speech was conceived at various points by Howard Sackler, screenwriter John Milius and Shaw himself. 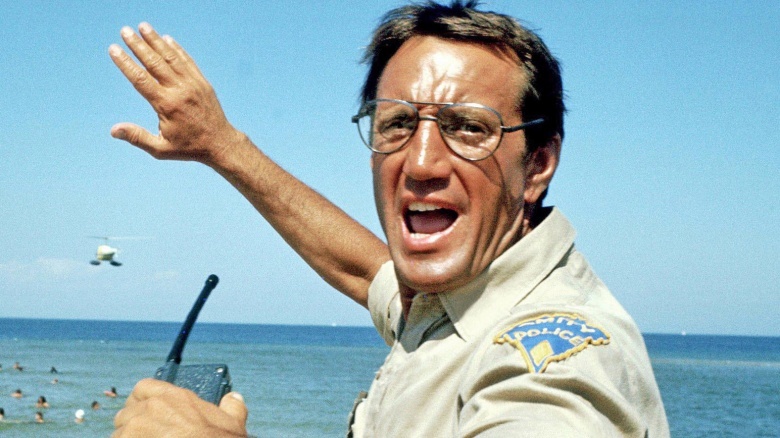 Although the USS Indianapolis speech remains one of the great movie monologues of all times, it inevitably pales in comparison to Jaws' most iconic line, "You're gonna need a bigger boat," said by Scheider's character, Brody, after Brody catches sight of the shark for the first time. Ironically, the line was the result of a running joke that had been going on for some time during production. According to Gottlieb, it originated thanks to a boat many felt was too small to support the barge carrying the production's lighting, camera equipment and craft services. "[Richard] Zanuck and [David] Brown were very stingy producers, so everyone kept telling them, 'You're gonna need a bigger boat,'" he recalled to The Hollywood Reporter. It became a catchphrase for anytime anything went wrong—if lunch was late or the swells were rocking the camera, someone would say, 'You're gonna need a bigger boat." Gottlieb added that Scheider ad-libbed the line at various points during production, including the now-famous scene. "It was so appropriate and so real and it came at the right moment, thanks to Verna Field's editing," he said of the line that made it into the movie. Of course, after Jaws went on to make a boatload of money, the inevitable sequel talk came into play. By that point, though, Spielberg was done with the franchise. "I was done, I was done with the ocean," he told Ain't It Cool News. "I would have done the sequel if I hadn't had such a horrible time at sea on the first film. I would have absolutely jumped at the chance to own the sequel because I knew that when I was walking away from the sequel I was walking away from a huge piece of my life that I helped to create, but it wasn't a hard decision to walk away from "
Still, that doesn't mean he hasn't revisited the story on occasion. "I have a very, very good scene which I thought would have been good for a sequel someday … every time I think of this scene, I think, 'Hmmm, could this be another Jaws movie?'" He said. "And I have to immediately pull myself back down to earth." 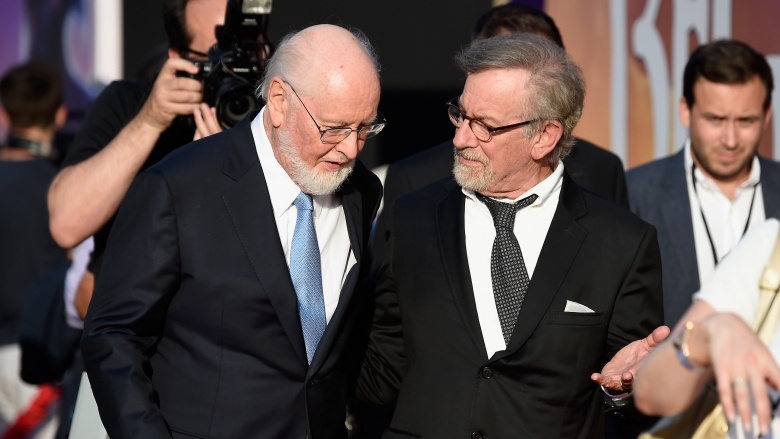 Although John Williams' effectively creepy two-note motif helped scare the you-know-what out of movie audiences, the Oscar-winning composer claimed that Spielberg actually laughed when he first heard it. "I played him the simple little E-F-E-F bass line that we all know on the piano [and at first he laughed]," Williams recalled, according to the Film Music Society. "I just began playing around with simple motifs that could be distributed in the orchestra, and settled on what I thought was the most powerful thing, which is to say the simplest. Like most ideas, they're often the most compelling." Spielberg then said, "Let's try it." The score was completed in two months, and wound up being recorded with a 73-piece orchestra. "It was a lot of fun, like a great big playground," the composer said. "We had a really good time, and Steven loved it." "I think the score was clearly responsible for half of the success of that movie," Spielberg later said, according to Film Music Society. Given all of the financial and critical success of Jaws, when awards season rolled around, Spielberg was so convinced he was going to be nominated for an Oscar that he hired a camera crew to actually film him watching the nominations on television. "My name is Steve Spielberg and I just directed a movie called Jaws," he said on camera. "And Jaws is about to be nominated in 11 categories. You're about to see a sweep of the nominations. We're very confident in this very moment. So, if you all have a seat, we'll get on with it." That, of course, never happened. The film wound up receiving only four nominations: for Best Picture and the three categories in which it eventually won, Best Film Editing, Best Sound and Best Music, Original Dramatic Score, respectively. Naturally, Spielberg was upset by the outcome, expressing shock that the Academy voted for Italian director Frederico Fellini for Amarcord over his work on Jaws. 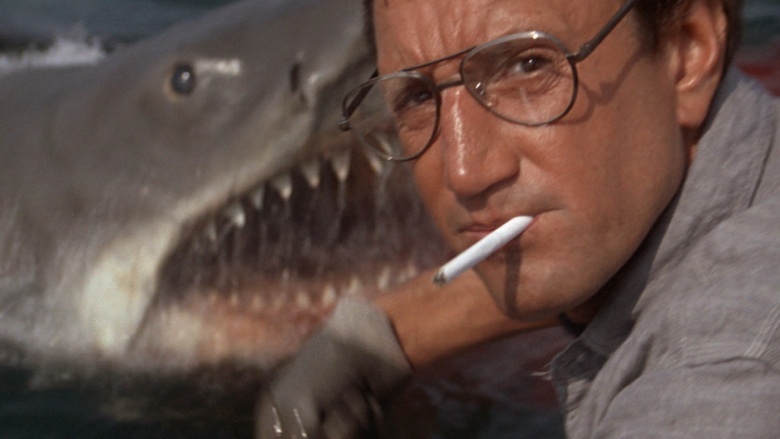 "For my record, I am outraged that I wasn't nominated for Best Director for Jaws," he said. "This is called 'commercial backlash.' I don't know if anybody knows the word 'commercial backlash,' but when a film makes a lot of money, people resent it. Everybody loves a winner, but nobody loves a WINNER." Crazy enough, even though he went on to film classics like E.T. : The Extra Terrestrial, Raiders of the Lost Ark and The Color Purple after Jaws, Spielberg did not win his first Oscar for Best Director until 1994. Granted, it was for the incredible Schindler's List, but yeah, the wait was insane.